DUSAN POPOVIC /Dushan Popovitsh/ is a young man, full of enthusiasm and elan, clever and imaginative, capable of thinking very intelligent answers in a specific moment and to bring very thoughtful conclusions that affect the very essence and meaning of life. He is very intensely dealing with the issues of essence, he is engaged in existential understanding of himself and his environment. In conquest for the truth, he asks that question quite openly, as to himself – the same way to the others, and he is ready for this truly way of life without any reservations. He is open-faced and communicative, looking you in your eyes when he communicates, he is brave to say what he thinks and he is ready to defend his stand as long as he has arguments. He origins from a rectitude family who gave him a basic sense for justice, honesty and high moral qualities and as such he held himself regardless of the challenges of nowadays times in which such values lose their importance. Dusan is a true example of a young man who is fighting for its place in this world and he is doing it completely openly and unobtrusively. He has a great ideas, has the will and a good cause, and that is a help to those that help is needed. He is motivated to communicate very openly and honestly. He is ready to develop and upgrade himself, in everything that he does he is very honest and fair, and without any ulterior motives he will offer you everything that he knows and feels so that he could help you to solve some of your problem, some dilemma or simplest thinking. The challenge in his further work is certainly going to be working with his peers and generations younger than him, which he should offer some new and better reality, a reality in which one needs to create a new vision of a man, who has somehow “spent” during the time. I wish him all the luck that he can get in his future work, with selfless support and desire that he never gives up on himself and his goals. in Belgrade, 29th of June, 2018. Milan had graduated at the Medical faculty of Belgrade University in 1993, and specialised it in 1999. 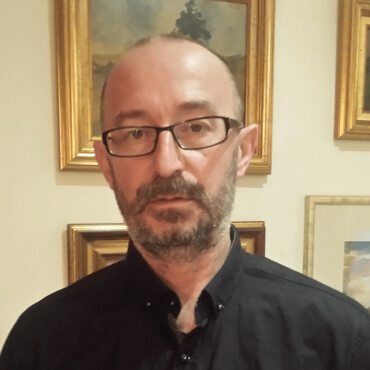 Dr Davidovic has rich experience in psychiatric and psychotherapeutic work with different profile of psychiatric disorders (psychiatry specialist). Presently, he is about to terminate sub-specialization in forensic psychiatry. Also, he is author and coauthor of several vocational and scientific articles. Beyond professional and humanistic interests, he likes jazz music, Russian classics, theater, and movies. and give us your comment and review on our Facebook page. sa srecom, puno uspeha u danima koji predstoje!